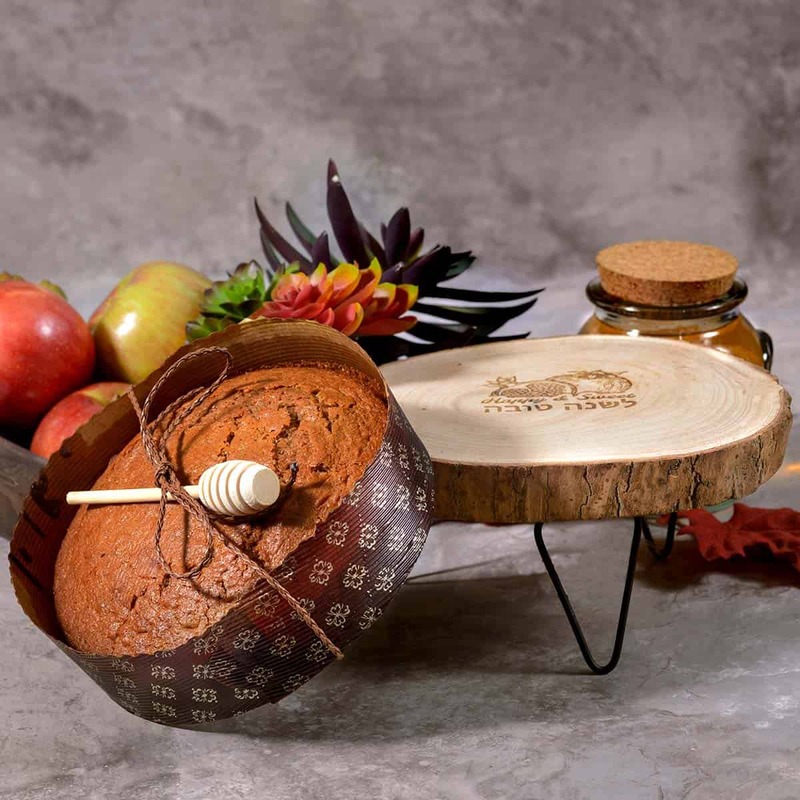 Our honey cake stands on its own! 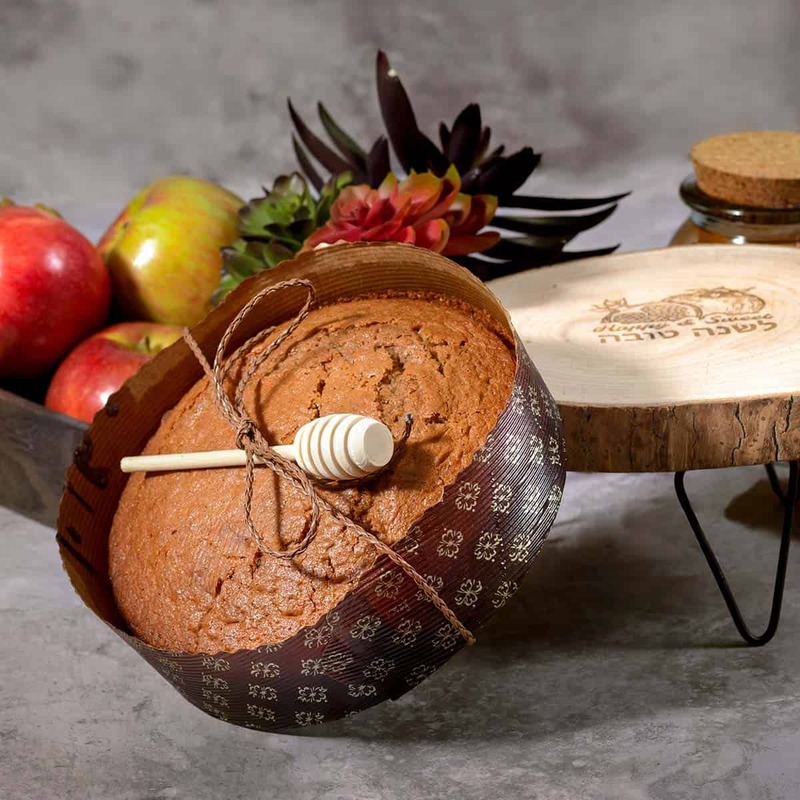 Whether you’re on the giving or receiving end of this Rosh Hashanah gift, it is certainly something you can feel good about. 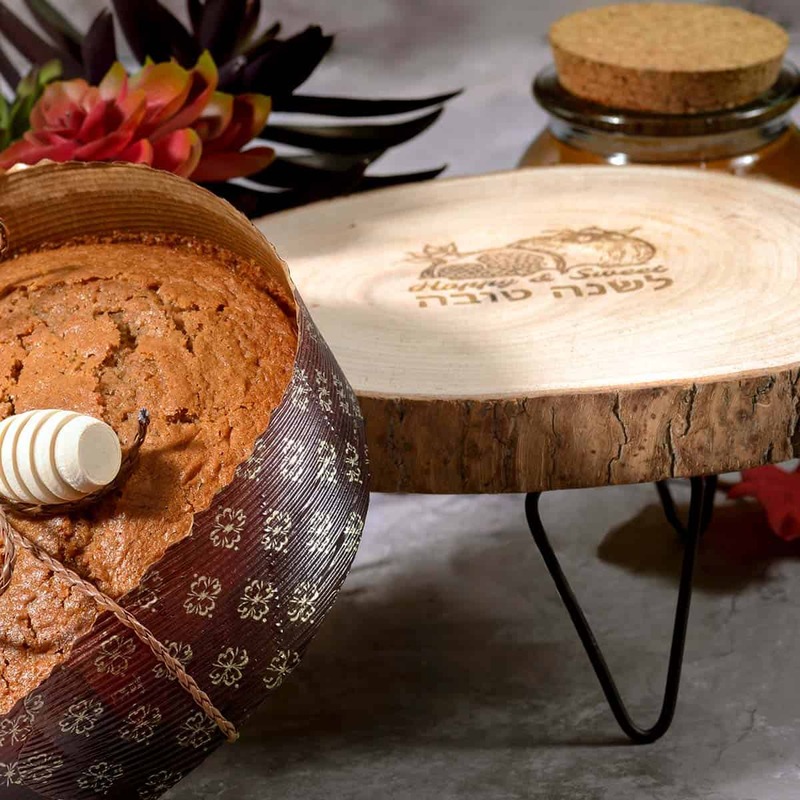 Our large round honey cake is made with a full cup of pure clover honey to ensure a fresh, moist taste at every bite. 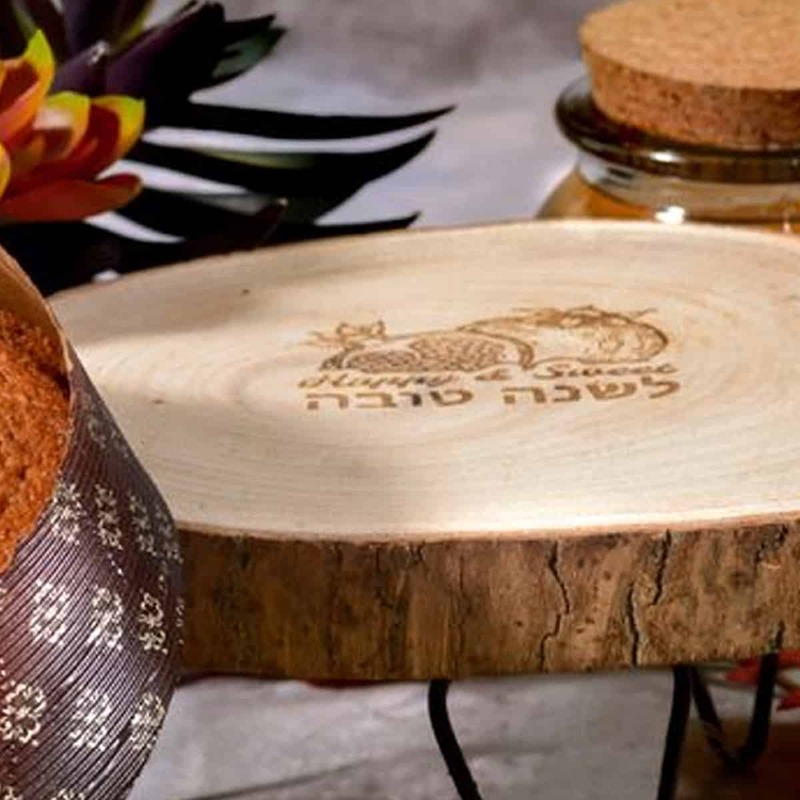 It arrives atop a 9″ acacia wood cake stand with a beautiful Rosh Hashanah motif. This functional piece of Judaica can be used as a trivet, serving platter and much more!